Green papaya is health benefiting nutrients. It is one ofthe favorites of fruit lovers for its nutritional, digestive, and medicinalproperties. Papaya is used to digestion, relief from toothache, improvement inthe immune system and the promotion of better heart health. Papaya is alsobelieved to prevent cancer. Papaya, also known as Carica Papaya, iscommercially famous for its high nutritive and medicinal value. 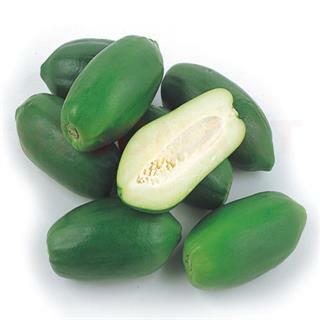 Green papaya has better health effects than yellowpapayas especially for diet and weight loss. The active element contained inpapayas is the papaya enzymes, and green papaya contains twice of the papayaenzymes than the normal papayas. These papaya enzymes not only candecomposition protein and sugar, they can also decompose fat and this featurecan be considered as one of the best health benefits for the human body.Through the decomposition fat the excessive weight can be decreasedaccordingly, and the metabolism can be promoted as well.